Though Darwin’s illness kept him away from the public debates, he eagerly scrutinised the scientific response, commenting on press cuttings, reviews, articles, satires and caricatures, and corresponded on it with colleagues worldwide. Darwin had only said “Light will be thrown on the origin of man”. 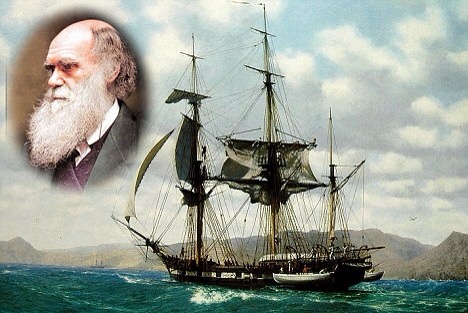 Despite repeated bouts of illness during the last years of his life, Darwin’s work continued. Having published On the Origin of Species as an abstract of his theory, he pressed on with experiments, research, and writing of his “big book”. 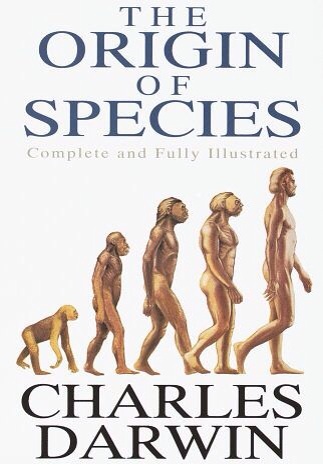 He covered human descent from earlier animals including evolution of society and of mental abilities, as well as explaining decorative beauty in wildlife and diversifying into innovative plant studies.Enquiries about insect pollination led in 1861 to novel studies of wild orchids, showing adaptation of their flowers to attract specific moths to each species and ensure cross fertilisation. In 1862 Fertilisation of Orchids gave his first detailed demonstration of the power of natural selection to explain complex ecological relationships, making testable predictions. As his health declined, he lay on his sickbed in a room filled with inventive experiments to trace the movements of climbing plants. In 1882 he was diagnosed with what was called “angina pectoris” which then meant coronary thrombosis and disease of the heart. At the time of his death, the physicians diagnosed anginal attacks”, and “heart-failure”.He died at Down House on 19 April 1882. His last words were to his family, telling Emma “I am not the least afraid of death – Remember what a good wife you have been to me – Tell all my children to remember how good they have been to me”, then while she rested, he repeatedly told Henrietta and Francis “It’s almost worth while to be sick to be nursed by you”. He was buried at Westminster Abbey close to Johnn Herschel and Sir Isaac Newton, at the request of His colleagues, and after public and parliamentary petitioning, by William Spottiswoode (President of the Royal Society) .Darwin had convinced most scientists that evolution as descent with modification was correct, and he was regarded as a great scientist who had revolutionised ideas. Though few agreed with his views on “natural selection” he was honoured in June 1909 by more than 400 officials and scientists from across the world who met in Cambridge to commemorate his centenary and the fiftieth anniversary of On the Origin of Species. During this period, which has been called “the eclipse of Darwinism”, scientists proposed various alternative evolutionary mechanisms which proved untenable. The development of the modern evolutionary synthesis from the 1930s to the 1950s, incorporating natural selection with population genetics and Mendelian genetics, suggested natural selection was the basic mechanism of evolution. Abraham Lincoln, the 16th President of the United States, was born February 12, 1809 and was the serving President of the United States from March 1861 until his assassination in April 1865. Lincoln successfully led the United States through its greatest constitutional, military, and moral crisis – The American Civil War – preserving the Union. Reared in a poor family on the western frontier, Lincoln was mostly self-educated, and became a country lawyer, a Whig Party leader, Illinois state legislator during the 1830s, and a one-term member of the United States House of Representatives during the 1840s. When the North enthusiastically rallied behind the national flag after the Confederate attack on Fort Sumter on April 12, 1861, Lincoln concentrated on the military and political dimensions of the war effort. His goal was now to reunite the nation. As the South was in a state of insurrection, Lincoln exercised his authority to suspend habeas corpus, arresting and temporarily detaining thousands of suspected secessionists without trial. Lincoln averted British recognition of the Confederacy by skillfully handling the Trent affair in late 1861. His efforts toward the abolition of slavery include issuing his Emancipation Proclamation in 1863, encouraging the border states to outlaw slavery (mostly as a war policy), but did nothing to help push through Congress the Thirteenth Amendment to the United States Constitution, which finally freed all the slaves nationwide in December 1865. Lincoln closely supervised the war effort, especially the selection of top generals, including commanding general Ulysses S. Grant. Lincoln brought leaders of the major factions of his party into his cabinet and pressured them to cooperate. Under Lincoln’s leadership, the Union set up a naval blockade that shut down the South’s normal trade, took control of the border slave states at the start of the war, gained control of communications with gunboats on the southern river systems, and tried repeatedly to capture the Confederate capital at Richmond, Virginia. Each time a general failed, Lincoln substituted another until finally Grant succeeded in 1865. An exceptionally astute politician deeply involved with power issues in each state, Lincoln reached out to War Democrats and managed his own re-election in the 1864 presidential election. As the leader of the moderate faction of the Republican party, Lincoln found his policies and personality were “blasted from all sides”: Radical Republicans demanded harsher treatment of the South, War Democrats desired more compromise, Copperheads despised him, and irreconcilable secessionists plotted his death. Politically, Lincoln fought back with patronage, by pitting his opponents against each other, and by appealing to the American people with his powers of oratory. His Gettysburg Address of 1863 became the most quoted speech in American history. At the close of the war, Lincoln held a moderate view of Reconstruction, seeking to reunite the nation speedily through a policy of generous reconciliation in the face of lingering and bitter divisiveness. Six days after the surrender of Confederate commanding general Robert E. Lee, however, Lincoln was assassinated by actor and Confederate sympathizer John Wilkes Booth. Lincoln’s death was the first assassination of a U.S. president and sent the nation into mourning. Lincoln has been consistently ranked by scholars and the public as one of the three greatest U.S. presidents, the others by scholars being George Washington and Franklin D. Roosevelt, and by the public, Ronald Reagan and Bill Clinton. Former Genesis member Steve Hackett was born 12th February 1950. English rock band Genesis were formed in 1967. 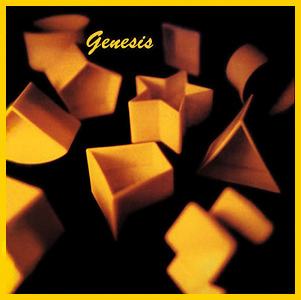 The band currently consists of its three longest-tenured members – Tony Banks (keyboards) and Mike Rutherford (bass, guitar), who were founder members; and Phil Collins (vocals, drums), who first joined in 1970. Past members Peter Gabriel (vocals, flute), Steve Hackett (guitar) and Anthony Phillips (guitar) also played major roles in the band in its early years. Peter Gabriel left in 1975 to pursue a solo career and Following Gabriel’s departure, Collins became the group’s lead singer, and sang lead vocals, then Hackett left in 1977. Former Genesis singer and successful solo artist Peter Gabriel was also born 13th February 1950. Genesis’s first album was Nursery Cryme was initially regarded by the band and the fans as a pop experiment, referring to then-popular melodic pop. Then, over the course of a year, (beginning with their second album in mid-1970) they quickly evolved into a progressive rock band with the incorporation of complex song structures and elaborate instrumentation. Their concerts became theatrical experiences with innovative stage design, pyrotechnics, extravagant costumes and on-stage stories. 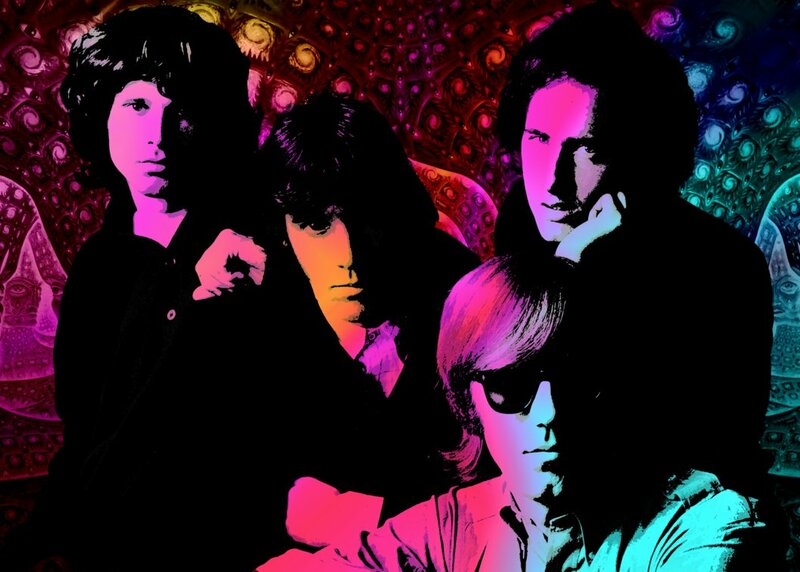 The Doors achieved national recognition after signing with Elektra Records in 1967. The single “Light My Fire” spent three weeks at number one on the Billboard Hot 100 chart in July/August 1967. Later, The Doors appeared on The Ed Sullivan Show, a popular Sunday night variety series that had introduced The Beatles and Elvis Presley to the United States. Ed Sullivan requested two songs from The Doors for the show, “People Are Strange”, and “Light My Fire”. Morrison also began writing during his adolescence. At UCLA he studied the related fields of theater, film, and cinematography.He self-published two separate volumes of his poetry in 1969, entitled The Lords / Notes on Vision and The New Creatures. The Lords consists primarily of brief descriptions of places, people, events and Morrison’s thoughts on cinema, but The New Creatures verses are more poetic in tone. Edison was said to have been influenced by a popular fad diet in his last few years; “the only liquid he consumed was a pint of milk every three hours”. He is reported to have believed this diet would restore his health. Edison became the owner of his Milan, Ohio, birthplace in 1906. On his last visit, in 1923, he was reportedly shocked to find his old home still lit by lamps and candles.Thomas Edison died of complications of diabetes on October 18, 1931, in his home, “Glenmont” in Llewellyn Park in West Orange, New Jersey, which he had purchased in 1886 as a wedding gift for Mina. He is buried behind the home. Edison’s last breath is reportedly contained in a test tube at the Henry Ford Museum. Ford reportedly convinced Charles Edison to seal a test tube of air in the inventor’s room shortly after his death, as a memento. National Inventors day takes place annually on February 11 to commemorate the birth of Thomas Edison and to recognise the contributions of inventors. It was started by Former US President Ronald Reagan, who proclaimed February 11, 1983 as National Inventors’ Day, In recognition of the enormous contribution inventors make to the nation and the world, the Congress designated February 11, the anniversary of the birth of the inventor Thomas Alva Edison, who held over 1,000 patents. Some countries celebrate Inventors’ Day On different days; in Argentina Inventors’ Day Spanish: Día del Inventor) Is held annually on September 29, to commemorate the birthday of the inventor of the ballpoint pen, László József Bíró. Meanwhile The Inventors’ Day (German: Tag der Erfinder) in the German-speaking countries Germany, Austria and Switzerland takes place on November 9, and celebrates he birthday of the Austrian-born inventor and Hollywood actress Hedy Lamarr whose main invention was the frequency-hopped spread spectrum in 1942. The day was proclaimed by Berlin inventor and entrepreneur Gerhard Muthenthaler. The aims of National Inventors day are to Encourage people towards their own ideas and for a change to the better and Remind people of forgotten inventors. Hungarian Inventors’ Day (Magyar Feltalálók Napja) is celebrated on June 13 in memoriam of Albert Szent-Györgyi who registered his national patent about the synthesized Vitamin C in 1941 and won the Nobel Prize in Physiology or Medicine in 1937. It is celebrated by the Association of Hungarian Inventors (MAFE) since 2009. While in the Republic of Moldova an Inventors’ and Rationalizers’ Day is celebrated annually at the end of June, Thailand celebrates Inventors’ Day on February 2 To commemorate the anniversary of His Majesty King Bhumibol Adulyadej’s allocation of a patent for a slow speed surface aerator on February 2, 1993.